Evergreen Sportsplex is the premier destination for sports, events, and adventure in Northern Virginia and the 2017 Small Business of the Year Winner for Loudoun County. The complex spans 44 acres of land, nestled in the heart of beautiful Leesburg. We are the leading sports destination for regional, national and international tournaments, adults leagues and recreational activities. Evergreen Sportsplex is home to the premier Lacrosse organization in Northern Virginia, the Evergreen Lacrosse Club, the American Youth Football Boys Travel Football team, the Evergreen Hammers, and is the flagship location in the United States for FC Barcelona Escola Northern Virginia. Evergreen Sportsplex also features the Evergreen Adventure Park: a 13 elements ropes course, consisting of tire swing and tight ropes, four zip lines, and two rock climbing walls. The Play To Win Athletic Center (PAC), previously named the Potomac Athletic Center, is now managed by Play To Win Sports Management. 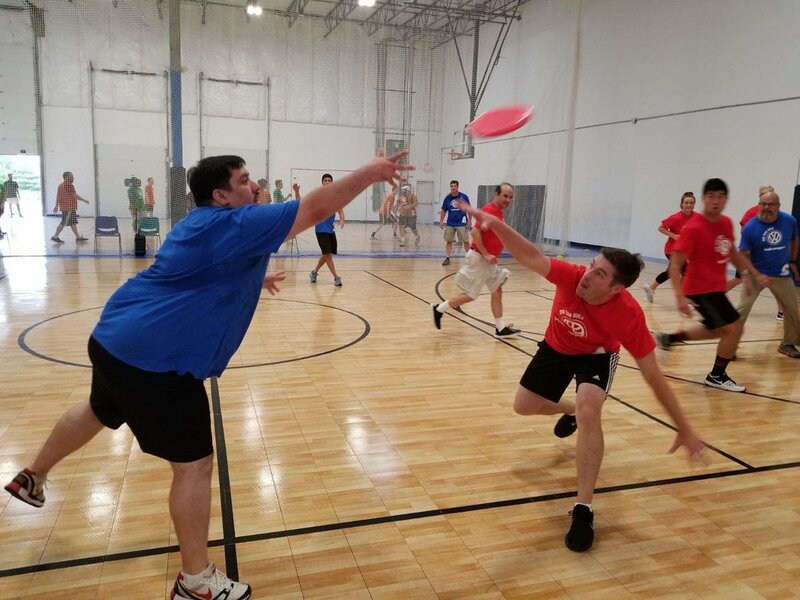 We are an indoor sports facility located in the epicenter of Ashburn, minutes off Loudoun County Parkway. The PAC provides a central location for team practices, skill development, league play and special events. We offer three multi-sport courts lined for both basketball and volleyball, but can be used for a variety of other indoor sports. The PAC is designed for year round usage by a variety of community focused organizations in Loudoun County that provide sports and recreation opportunities for both youth and adults. Our facility is also home to a PopCycle, a spin cycling studio offering morning, mid-day and evening rides/classes.